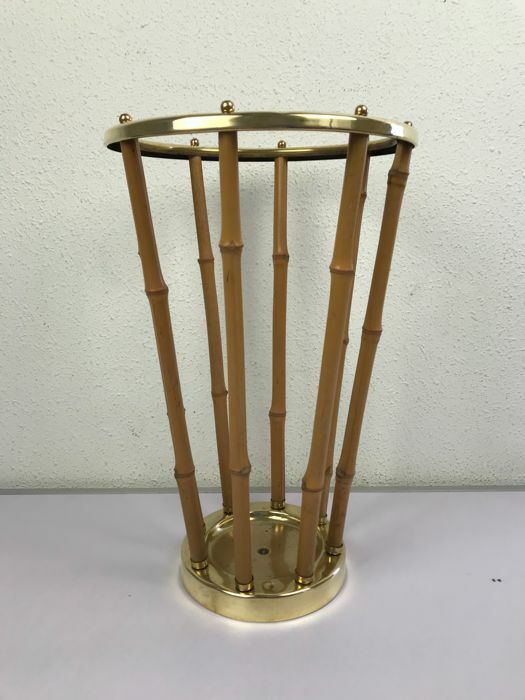 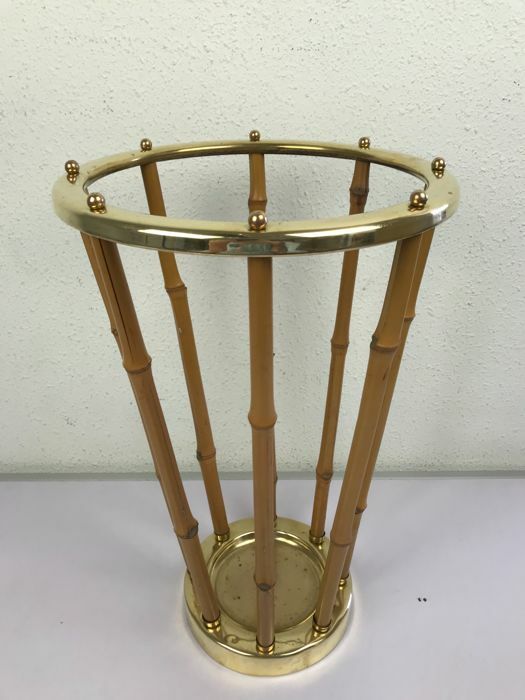 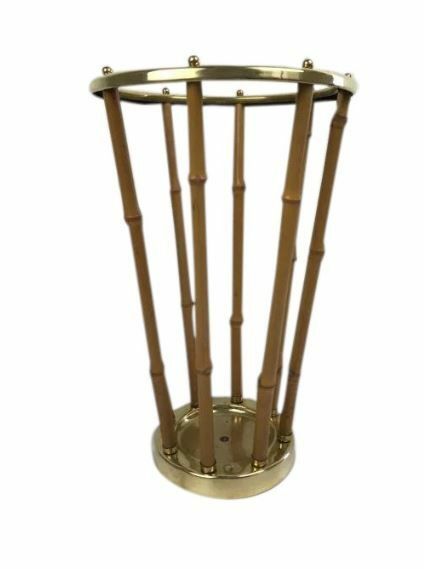 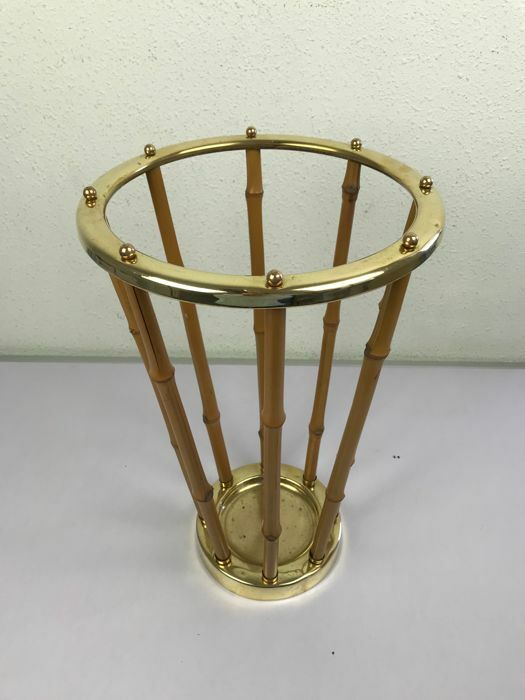 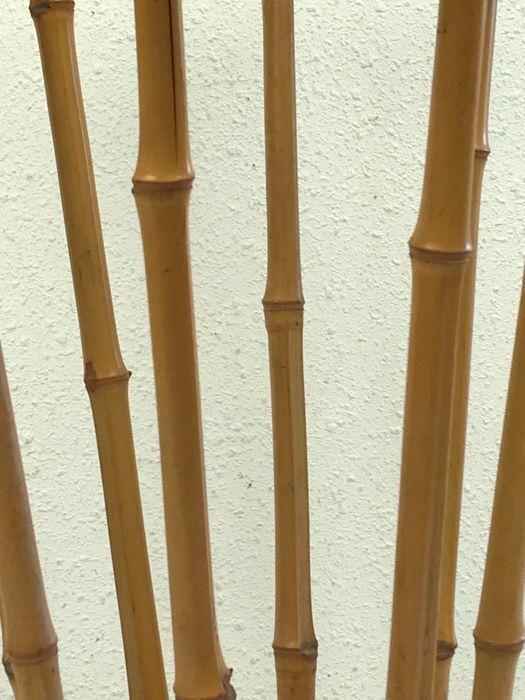 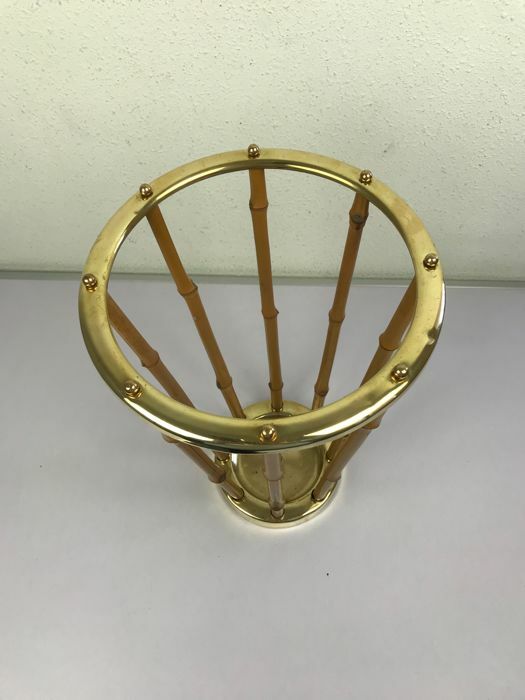 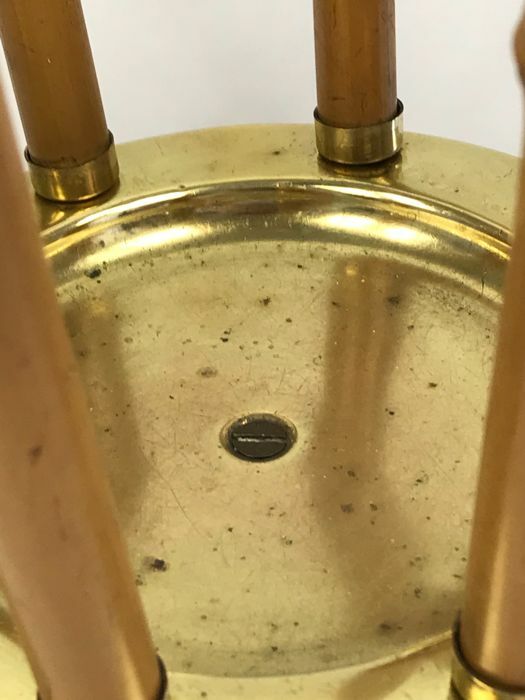 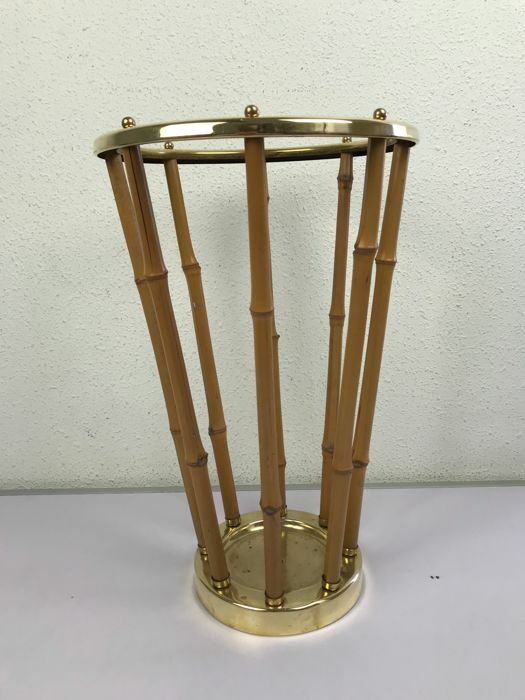 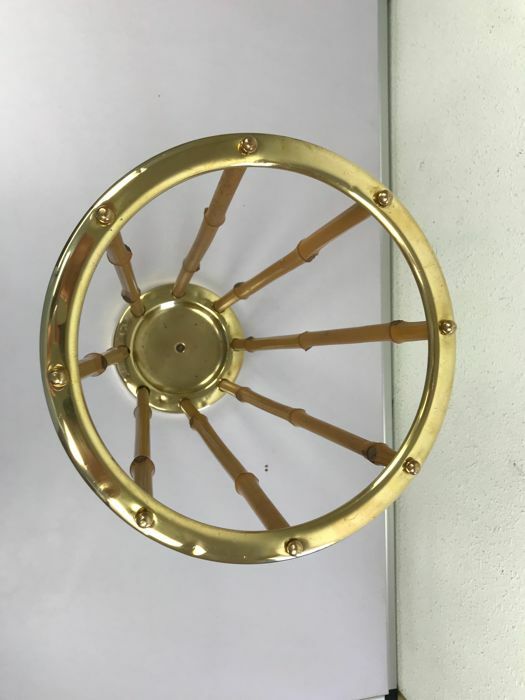 A very fine umbrella stand, reminds one of the designs by Carl Auböck (1900–1957) and is made of bamboo and brass. 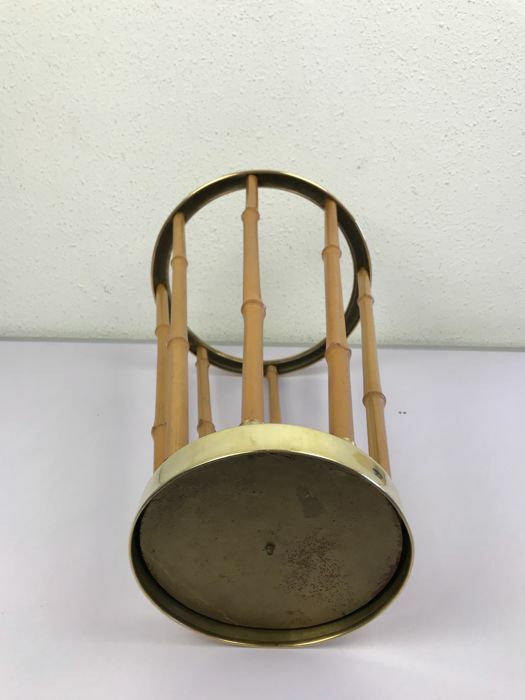 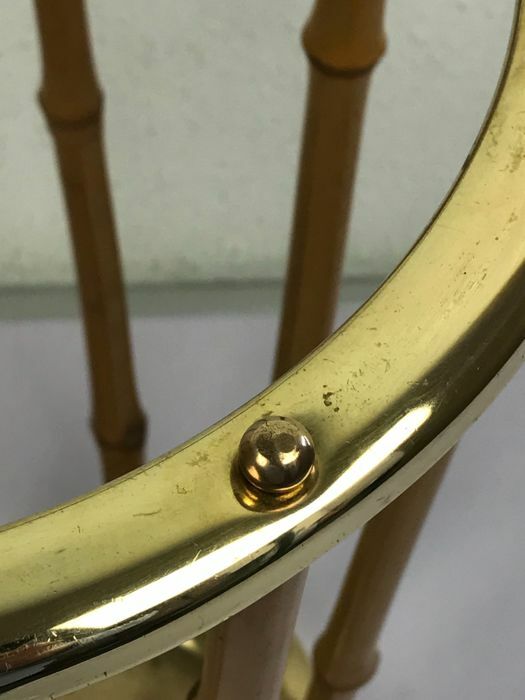 Made in the mid 20th century and is in good condition. 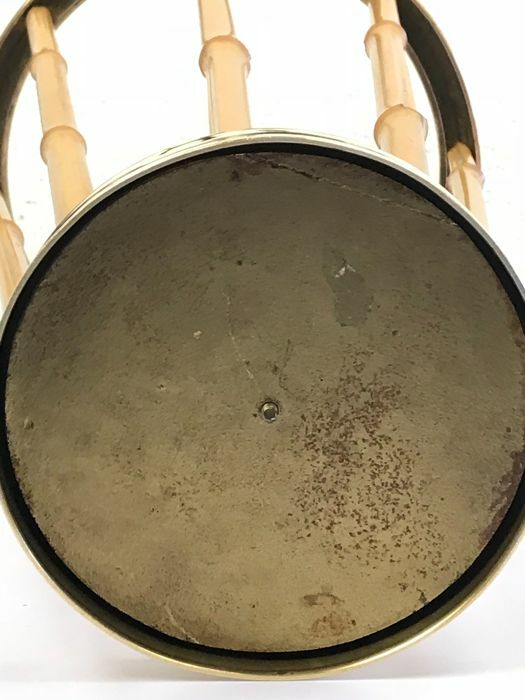 It is for sale for over €2,000 on a well-known antique/art website. 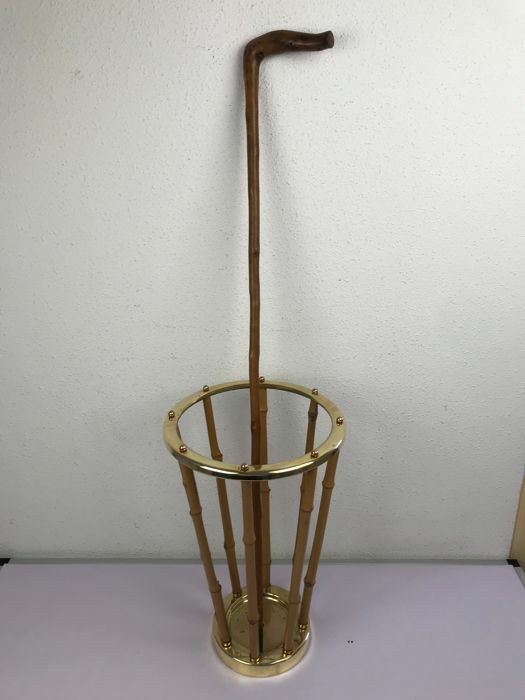 Height is 42 cm with a diameter of 25 cm. 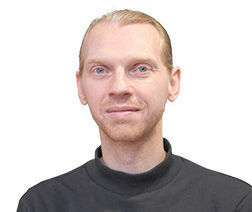 Shipping: our parcels are shipped with care in high-quality packaging and with Track & Trace.